This raw cake tea is 100% pure material from the first flush spring tea of 2017 that covered with lots of white downy hairs. 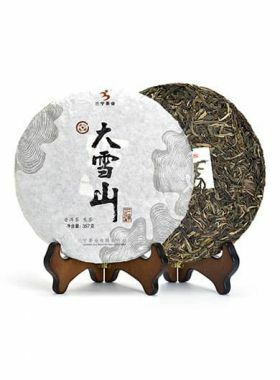 This raw tea cake is made of leaves from 50-80 year old large-leaf Menghai trees, with the plucking standard of one bud to two leaves. Because this cake was processed in spring 2017, the leaves still need to undergo the slow microbial transformation into maturity - so when it is compared with aged raw pu-erh tea, it doesn’t have the same obvious aroma, but still maintains its slight high-mountain charm. After being aged for a period of time, the fragrance of the tea will become richer and more powerful. When drunk this tea has a rich taste, often slightly bitter at first but with that bitterness quickly dispersing to yield a rock-candy sweetness and lingering aftertaste. In addition, this raw Hekai pu-erh endures through many infusions, the last of which will be completely devoid of that bitterness and instead will take on a gentle sweet note that expands outward, altogether giving a pleasant tasting experience. Located in the southeast of Menghai county, the Hekai tea area is the best-protected and largest ancient tea tree grove in all of Xishuangbanna, Yunnan. The trees growing here are distributed mainly through three villages: Manmai, Mannong Old, and Mannong New. When walking into this place, many ancient tea trees can be seen growing alongside the villagers’ houses, forming a beautiful and harmonious natural landscape between man and nature. Standing between 1400 and 1700 meters above sea level, Hekai Mountain’s annual average temperature is about 18.1 degrees Celsius with humidity around 82%. The soil here is very fertile, and slightly acidic. “Vigorous and lively” was our first impression of Mr. Gu. 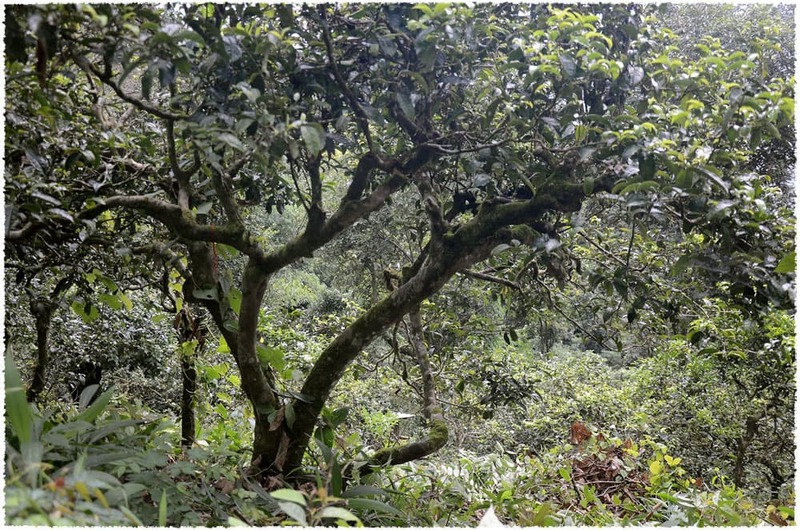 At the beginning of 2016 we decided to visit his ancient tea trees in Hekai Mountain, and during our meeting, we drank many excellent ancient tea leaves and before long, we’d become good friends. Being born and bred in Hekai, he has been engaged in crafting tea from old trees since 2009. 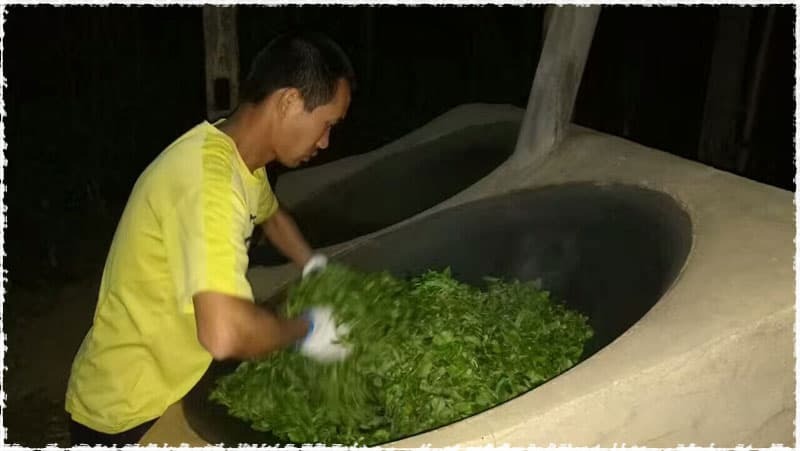 Compared to farmers who have decades of experience, his skill is somewhat immature - but this also proved to be an advantage: being so young, every day he could run to the tea mountains to find the old trees, collect their leaves, and study with more experienced tea farmers and refine his craft. Unafraid of failure, he was strict with himself and would remake a tea if he was not satisfied with the original result. 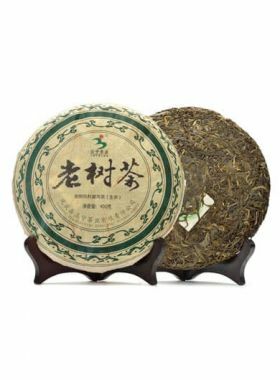 It all started with his love of pu-erh; when you drink this pu-erh tea cake, you can immediately sense his sincerity and appreciation. 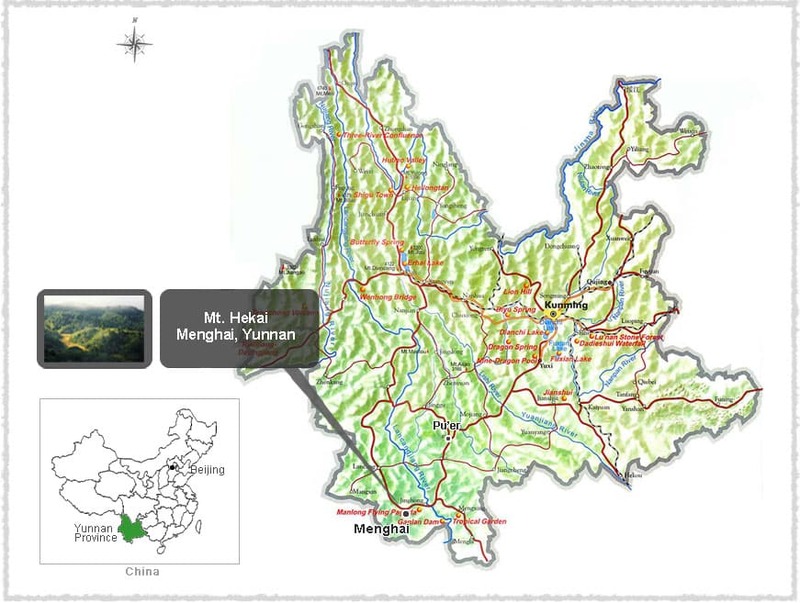 Menghai, the birthplace of Chinese pu-erh tea, is located in southwest Yunnan province. Until now there were a large number of ancient trees growing around the area, including the 1700-year-old ancient tea tree king. In addition, Menghai also is home to many rice and sugar cane farms, and has held the title of ‘Southern Yunnan Granary’ since ancient times. Nowadays it is a state-level grain and sugar production base. 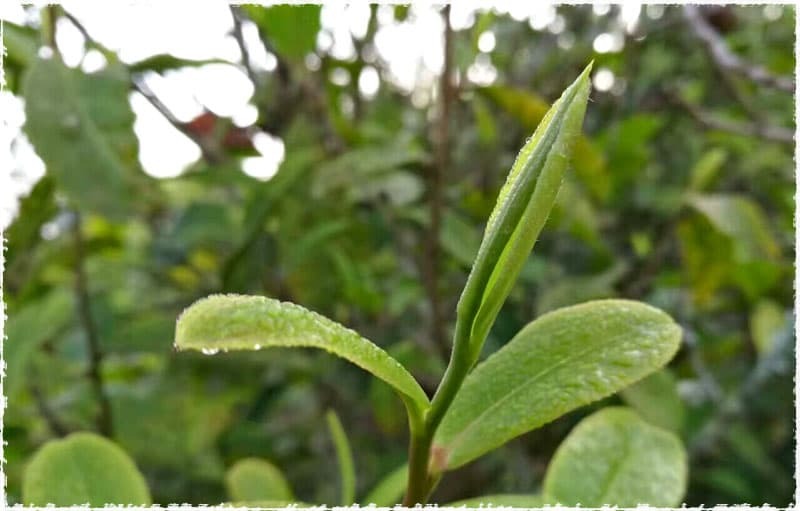 Native to Menghai County in Xishuangbanna, the Menghai large-leaf tea tree species was rated as the most improved national tea variety in 1984. This species can grow up to seven meters tall, and has bold green leaves much larger than common varieties, and buds that are yellowish-green and coated with fuzz. The leaves of this tree are high in phytochemicals: one bud with two leaves contains 2.3% amino acids, 32.8% polyphenolic compounds, 4.1% caffeine and 18.2% catechinic acid. As a result, pu-erh made from this species is high quality and rich in flavor, yet soft in taste and with a full-bodied essence.